Empties – This time I got some great ones! Time to chat about empties again, and I got a small mixture of products for you. I actually finished a lot of good products here, so I have many to recommend to you! #100 Lioele Water Drop Sleeping Pack: I already wrote a full review of this product which you can have a look at here if you want to read more in depth about it. But I still think it is a great product and I realize that now that it’s been empty for a little while that I miss is from my skincare routine. I need to pick up a new one, and I highly recommend it! #101 Nature Republic Himalaya Salt Cleansing Balm: A great makeup remover, and I have finished quite a few jars of this now. It is a wonderful balm that melts into the skin and removes even the most stubborn makeup quite easily. I will for sure buy this again because not only is it a fantastic makeup remover, it is also cheap! #102 John Masters Organics Blood Orange & Vanilla Body Wash: This smells absolutely divine. I’ve had this for years because I have been saving it. It is quite expensive to be a body wash, and not something I wanted to rush through because there are so many great cheaper body washes that works great so it feels kind of silly to spend this much money on one. But, that being said it is worth it because the smell is amazing and it feels luxurious as well. A very good body wash, but a bit on the pricey side. I may pick it up again though, because I do like it and I do like this brand in general. #103 Avalon Organics Volumizing Rosemary Shampoo: Now over to something good and cheap. I tried quite a few of the Avalon Organics shampoo and conditioners and I generally find them to be a great and cheap organic option. This one was refreshing with a nice herbal rosemary scent and it did help with volume and shine as well. I do recommend, and I may pick this one up again at some point. I just have a few to many shampoos at the moment. #105 Lancôme Volume-à-Porter Mascara: I usually really like Lancôme mascaras. I like this one too. It gives a nice feathery look to the lashes. Nothing huge in volume or length, but good for days when you want natural but beautiful lashes. Did not smudge on me, and stayed put all day so that’s a good thing as well. I may repurchase in the future. That’s all for now. Did you finish anything fun lately? And by the way, you can find me on Bloglovin and Instagram as well! My pile of empties creates a constant source of material for these posts. And I am always behind. But they are fun to make, and seemingly fun to read for many of you. So here goes another one! I got some doubles here, and then a bit of everything. Some good, some bad, some makeup, some hair care and some of my highly appreciated Haus Of Gloi Pumpkin Butters off course! Let’s start with the doubles! #77 Dove Summer Revived Body Lotion With Self-Tanner: This was a mistake. I did not realize it was a gradual tanner. And I picked up 4 of them at once. To bad the actual tanner is horrid. If used several days in a row you build up a completely orange tan, that does not sit very well. So it is rubbed off partially on leaving me both orange and patchy. What a joy! Luckily the tanner is very gradual so if used only once or twice a week it does not matter. Still, will not repurchase. #78 Dove Summer Revived Body Lotion With Self-Tanner – With soft shimmer: This is the same as above, only worse because it is shimmery. Not buying again for sure. #79 Redken Frizz Dismiss Smooth Force Lightweight Smooth Lotion Spray: This is a holy grail product that I use every day and I have been for years. Keeps the frizz away and makes my hair nice and smooth and shiny without making it feel heavy. This is just a staple in my everyday routine. Will repurchase this over and over again! #80 Redken Frizz Dismiss Smooth Force Lightweight Smooth Lotion Spray: Still a favorite! #81 Haus Of Gloi Pumpkin Butter – Imp: My always much loved pumpkin butters! I will never stop using these either. They are and always will be highly treasured. This scent is very sweet and citrusy, almost like candy. It is a bit too much on the candy-like side. I do like it though, it is just not my favorite and Haus Of Gloi has such an incredible large range of scents that I only need to repurchase those I truly love and still have my bathroom shelves filled. I may pick up this scent in the future, but there is no rush. I have plenty I like a bit more. #82 Haus Of Gloi Pumpkin Butter – Blood Orange Marshmellow: Sweet, heavy, delicious scent. To me this is perfect when I crave something sweet in winter. I have backups of this already. # 83 Adopt Eu De Perfume – Aquatique: This was in my project pan, and I had about 20 % left when I dropped it on the floor and broke it! It was a simple aqua scent. Very uncomplicated, and even though it was smellt good it was a bit too simple for my taste. Mote of a lightweight teenager scent I would say. I at least would have adored this as a teenager. It did not last very well on my skin either. A few hours and I could not smell it any more. I will not but it again. #84 – L’Oreal Mega Volume Miss Baby Roll Mascara: There is nothing mega about the volume this gives. On me they gave very natural lashes. Did not give much length or volume at all, and did not really separate the lashes. They quickly became like short spider legs if I tried to build it up. Worked best for me with just one of two light coats, but it completely lacked that wow factor. Will not but again. #85 L’Oreal Brow Artist Xpert Brow Pencil: This one I quite like. It has one of those bigger square pencil shapes and filling in goes very fast. It is a bit unprecise so maybe not the best choice if you want something to make hairlike strokes with, but just for filling in the brows it works great. I never seem to get my pile of empties under control. There is always a whole bunch of products laying ready to be talked about. Am I the only one with this problem. I feel like I go through products so fast! I guess it is my extensive routines that make products go fast. This time around I got some skincare ad bath products to share. Do you spot any favorites? #70 Rituals Sakura Spring Shower Oil: I am a big fan of Rituals shower oils. I got two more standing in my shower. This really is a product I want to keep using, but as for now I will stick to the scents I already have in my bathroom. This is a really good product though and I like everything from the handy pump bottle, to how hydrating and soft it is on my skin as well as how nice the bottle looks. Thumbs up for this! #71 Yves Rocher Coconut Sensual Bath & Shower Gel: These shower gels are nice, cheap and comes in a variety of different scents. I have kind of a strange relationship to coconut scents, because in my mind I love coconut, but in real life I often find them to be way to synthetic and I get tired of them very quick. I still keep on buying stuff with coconut scent though. This one is quite good for being coconut. Not overly sweet or synthetic,but I did get a bit tired of it after a while. Since I do like this I may repurchase, but a small size like this is more than enough for me. The shower gel itself is very good and gives a nice foam. #72 Bella Lucce Norwegian Oceanic Salt Rub: Bella Lucce has been one of my favorite bath and skincare brands for a very long time. Their body scrubs are amazing with lovely scents, rich oils and a lot of scrubbing grains. This one with Norwegian sea salt is very refreshing and just feels healthy on the skin. Unfortunately the brand recently closed down. So these products will soon be unavailable. I will with a heavy heart phase out the Bella Lucce products from my bathroom shelves. I hope i will find a similar brand to like equally much in the future. If you can find a product from this brand (they sell them in selected SPA’s) then I highly recommend them, just know they won’t be around much longer. And I was here planning my next big order of lovely skincare. Such a bummer! #73 Heimish All Clean Balm: On a brighter note, this is an excellent cleansing balm and I already have a new one ready to go. It melts on the skin to a nice oil that removes any makeup easy as anything. Packaging is pretty too! #74 It’s Skin Pure Moisture Snow Blossom Essence: A moisturizing essence in a classy expensive looking bottle (Biotherm vibes) for a very reasonable price (Hurray for Korean skincare!). It does give moisture I think, the scent is pleasant but not overpowering and it looks nice in the bathroom. I would not mind buying this again, but I didn’t really feel like it made wonders for me. Good product I guess, but I will try some others. I may return to this one though. I just may want to look into something that gives a bit more than just moisture (my aging skin needs all the help it can get after all). #75 It’s Skin Hyaluronic Acud Moisture Eye Cream: Very comfy eye cream that glides on and sinks in nicely. I can apply this just before makeup without any issues. I don’t think I will buy this again, because even though moisture is the most important thing (together with avoiding sun) to prevent skin aging, I want something with more active ingredients. I think this is perfect for people in their early 20’s who would like a nice moisturizing cream, but I am a decade ahead of those people and would prefer a cream more suited for older skin. It is a nice eye cream for a fair price though! #76 Haus of Gloi – Cozy Sweater: Off course you know I love these! They are so so amazing little pots of rich body cream with a large selection of absolutely divine scents. I have my bathroom full of a nice selection of them. They truly are addictive! This scent is one of my favorites especially in winter and fall! It smells like mush, faded perfume, Egyptian amber, incense and vanilla. The most cozy scent ever perfect to match with a fireplace and a nice cup of tea. I am out of this scent right now, but I think I picked it up on my latest order arriving soon. Not because they are bad, but because they are empty and we need to have a chat about them before I get rid of them. Those are the beauty bloggers empties rules. I don’t know any other group of people who collect their trash to talk about it. Please enlighten me if you do so I can feel less weird about it. Anyway, I know I am not the only one, and based on my readers number on these post you kind of like reading about my trash to! This time we have a nice mixture of hair, makeup and skincare. #62 Natures Gate Conditioner Daily Cleanse “Herbal” – I was so clever to buy this 32 Fl OZ without smelling it first. And I was not a big fan of the scent. It took me almost a year to go through it so I kind of got used to the scent eventually, but it was too masculine and after-shavy for me. The conditioner worked well enough, and was handy with the large pump bottle, so maybe another scent would be better. I need a little break though. #63 Avalon Organics Gluten-Free Cucumber Shampoo – I have owned and used several of the Avalon shampoos and conditioners and I usually like them, There was something odd about this cucumber scent though. I imagined something mild and fresh, but it smelt a bit like a cucumber someone forgot in the back of the fridge to be honest. Does the job well though, but the scent and the fact that I see no reason what so ever for why my shampoo needs to be gluten-free (enlighten me if you can please), I won’t pick up this exact one again. But I will for sure pick up more from the brand because their shampoos are usually a hit. #64 Innisfree Apple Seed Cleansing Oil Balm – Gets the job done and removes the makeup nicely. The scent is a very synthetic apple scent. Like candy, not like apples. It is OK, but I know cleansing balms with better scents that gets the job done just as well with a similar price tag. #65 Rituals Magic Touch Body Cream – These body creams from Rituals are delicious and I have used them for years in many different scents. It is rich and luxurious without being thick as a butter. The jar is nice and bid and they smell lovely, like spa. This one has a cherry blossom scent that is very feminine and pleasant without being overpowering.I always have one of these at hand, and I might pick up this scent again, but I think I prefer the Happy Buddha scent a bit more. Still, a really good product and I can really see myself picking it up again. #66 Holika Holika Petite BB Cream Bouncing – This one was a part of my project pan. I really like these Holika Holika BB Creams. I may pick this one up again just because it works fine and it is super affordable, but I do prefer the Aqua and Moisturizing versions in this line above the Bouncing so I may just stick to those. #67 Korres Mango Butter Lipstick – Also a project pan lippie. This one is super creamy and smooth and feels so comfortable on the lips. The color is perfect for everyday, and as a bonus it does have SPF 15. #68 The Ordinary 100% Plant-Derived Squalene – Nice hydrating oil that sinks quickly into the skin, so it is suitable to use under my daytime moisturizer. This one I already got a new one of, and I use it every morning. Great hydrating oil. #69 Clarins Fix’ Make-up Long-Lasting Makeup Hold – This, despite it’s name, does not fix makeup. But other than that it’s a very good finishing spray. The mist is really good and it smells like roses. The glass bottle feels heavy and luxurious, and it almost reminds me of a perfume bottle. I think I will get a new one, because I find myself missing it once it was finished. A bit on the pricey side, but worth it! Trashbin donations – Also known as my latest beauty empties! 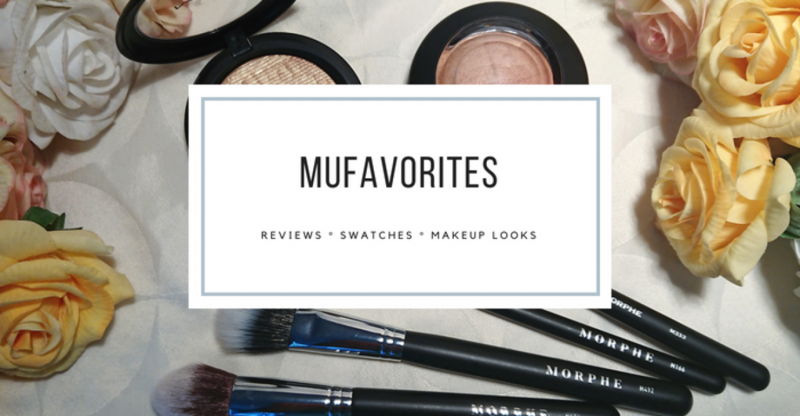 Time for another empties post with mini reviews of the beauty and makeup items I’ve been finishing lately. I always feel I am a bit behind on these posts, and as soon as I finish one I got a new pile ready for the next round. Am I the only one? This month I got both good, bad and so-so products. And a bit of every category. #42 Argan Oil of Morocco Hair Treatment Oil – Since I have curly hair I need some hair oil in my life. I got this one over two years ago, and only finished it now. Mainly because I tend to reach for my Haus of Gloi hair oils over this one. This seems like a good enough oil. It does the job, but I just prefer the Haus Of Gloi ones. Therefore I will not repurchase. #43 Maybelline Master Drama Khôl Pencil “Ultra Black” – If you ever read the list I makeu under each makeup look on this blog you must have seen this mentioned over and over again. This is the creamies, darkest kajal I’ve ever seen and it is perfect for smoky looks. I already started using a new one and don’t see myself stopping any time soon. Fantastic pencil for dark smoky looks! #44 Urban Decay 24/7 Glide On Eye Pencil “Zero” – I used to really enjoy this and I have been throught 5 or 6 of them throughout the years, but after I got to know about the Maybelline one this one seems more grey than black. I won’t repurchase simply because I found something better. #45 LUSH H’Suan Wen Hua Hair Treatment – The hair mask with the impossible to pronounce name and funky scent of sweet spice. This is my second jar, and I love how nourished and healty my hair looks after use. I will for sure repurchase this! #46 Batiste Dry Shampoo Divine Dark – I enjoy Batiste dry shampoos because they work and are cheap. This one is among my favorites because it is intended for dark hair so it does not leave a white cast as the others do. Another one I will repurchase for sure. I always have a Batiste in my bathroom. #47 The Body Shop Mango Exfoliating Sugar Body Scrub – This smells divine but that about it. I have tried many products from The Body Shop but unfortunately it is not a brand I tend to be very lucky with. This one did not work for me because it does not really work as a scrub in my opinion. It is so little grains that I have to use loads of the product to feel any effect. I got 4 uses out of this whole jar, and to be honest it was more of a greasy mess than a scrub. I did smell fruity-licious though! Will not repurchase (fortunately their Mango Shower Gel smells just as good). #48 Innisfree Apple Seed Cleansing Oil Balm – Nice balm that gets the job done and melts off the makeup. It smells like sour apple candy. I like it, it works well, but I do think I have a few others I prefer. I may or may not repurchase. I don’t know. But if you like that artifical apple candy scent than maybe you would enjoy this? Because the balm works, no doubt about that. I would love to know if you tried any of these, and your thought on them. It is always fun to hear other peoples experiences. We are all different after all!